As competent partner in the area of renewable energies for our customers we have us already established in the LSG group. More and more consumer constructions are partially supplied by the so-called “renewables” at the site. This lowers the energy related costs of the entire system on the one hand and on the other hand it contributes to the reduction of CO2 emissions. 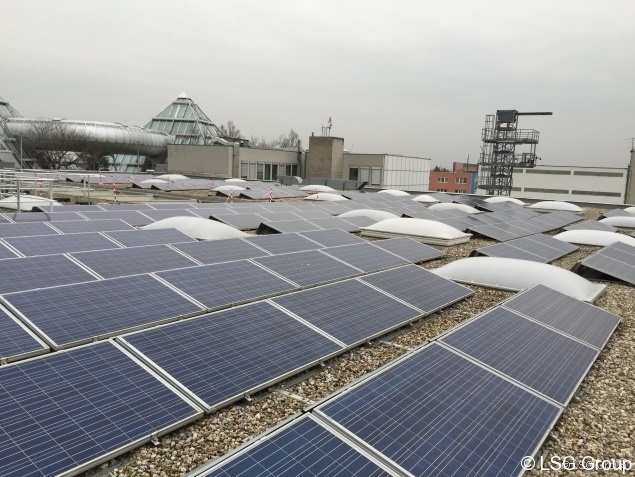 As a commitment to photovoltaics and the contribution to the improvement of the energy budget, the LSG Group has built and commissioneda 49,68kW system on the roof of the factory building, in the Gorskistrasse. We expect an average annual yield of approximately 52. 000kWh and avoiding 46.556 kg CO2 emissions (according to the standardised calculation model).